Positron emission tomography imaging is based on the long-recognized principle that neoplastic cells exhibit increased glucose metabolism compared to normal tissues and most benign processes [3,11]. In recent years, these metabolic alterations have been successfully imaged with PET by using radiolabeled glucose analogs . 18F-labeled 2-deoxy-d-glycose, which is a d-glucose analog labeled with a positron-emitting fluorine-18 substituted for a hydroxy group at the carbon-12 position, is the most commonly used PET agent for imaging thoracic neoplasms . FDG PET is highly accurate for distinguishing between benign and malignant pulmonary nodules . Because regional and distant metastases demonstrate abnormal metabolic activity similar to the primary neoplasm, this technique can also be used to assess for nodal and distant metastases (Fig. 7) . With regard to its role in assessing nodal status, several studies have shown that FDG PET is significantly more accurate than CT for this purpose [29-38]. For example, in a study that employed extensive lymph node sampling, Steinert et al. reported a sensitivity of 89% and a specificity of 99% for FDG PET. Dwamena et al. recently reported a meta-analysis comparison of mediastinal staging studies performed using FDG PET (14 studies, 514 patients) and CT (29 studies, 2226 patients) in the 1990s. Not surprisingly, they found that PET was significantly more accurate than CT for demonstrating nodal metastases. Mean sensitivity and specificity were 79 and 91% for PET, compared to 60 and 77% for CT. It is important to note the smaller number of patients enrolled in PET studies (n = 514) than CT studies (n = 2226) in this meta-analysis. Gupta et al. 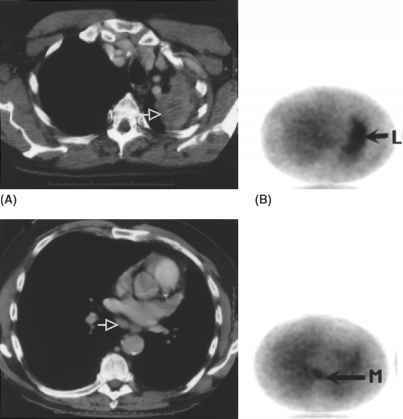 recently compared the efficacy of FDG PET and CT imaging for evaluating small (<1 cm), intermediate (1 to 3 cm), and large (>3 cm) mediastinal lymph nodes. In this study, FDG PET was significantly more accurate than CT for evaluating all lymph node sizes (94% vs. 61%) and individual nodal size groups. FDG PET was equally reliable and accurate for detecting disease in small and large lymph node lesions. Remarkably, the sensitivity, specificity, and accuracy for detecting malignancy in nodes <1 cm in diameter were 97, 82, and 95%, respectively. N2 and N3 disease (100%) than for N1 disease (71%), but specificity and negative predictive value levels were similar for all nodal stages. Based on the high sensitivity of FDG PET for detecting N2 and N3 disease and the high negative predictive value of this technique, these authors suggest that patients with T1 or T2 primary lesions with negative nodes on both CT and FDG PET imaging may not require mediastinoscopy prior to thoracotomy. 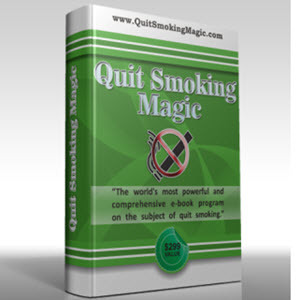 counts, which decreases lesion detectability. Fortunately, however, the low background activity of the lungs maximizes visibility of lung nodules and paratracheal and hilar lymph nodes (Fig. 8) . In contrast, in areas where background activity is higher (e.g., the abdomen), there is poorer lesion visibility, particularly with small (less than 1.5-cm-diameter) lesions. A recent study by Shreve et al. compared the performance of a dual-head single photon emission computed tomographic (SPECT) Anger camera operated in coincidence mode (nondedicated PET FDG imaging) with a dedicated PET scanner in the imaging of 31 oncology patients with malignant involvement of a variety of organ systems. 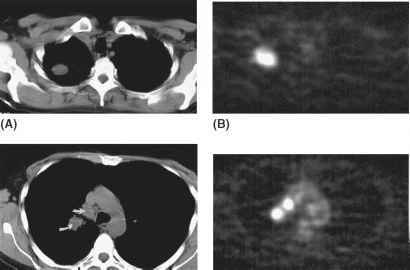 Of the thoracic lesions depicted with dedicated PET imaging, nondedicated PET FDG imaging was able to detect 13 (93%) of 14 lung lesions and 20 (65%) of 31 mediastinal lymph nodes. For lymph nodes greater than 1.5 cm in diameter, 15 (94%) of 16 were detected with nondedicated PET FDG imaging. Future studies in larger numbers of patients are necessary in order to determine the true sensitivity and specificity of nondedicated PET FDG imaging in NSCLC patients. Although physiologic imaging with FDG PET imaging represents a marked improvement over anatomic imaging techniques, it is not without limitations. For example, false-positive results may be encountered in active gran-ulomatous infections such as tuberculosis and false-negative results may be seen in the setting of microscopic foci of metastatic disease within small lymph nodes . Thus, one would expect the specificity of FDG PET imaging to be lower in areas with a high prevalence of active granulomatous infections.